Showing results by author "Mindy Belz"
Now with a new chapter! Sweeping from Syria into Iraq, Islamic State (ISIS) fighters have been brutalizing and annihilating Christians. Where did the terrorists come from, and what can be done to stop them? For more than a decade, journalist Mindy Belz has reported on the ground from the Middle East, giving her unparalleled access to the story no one wants to believe. 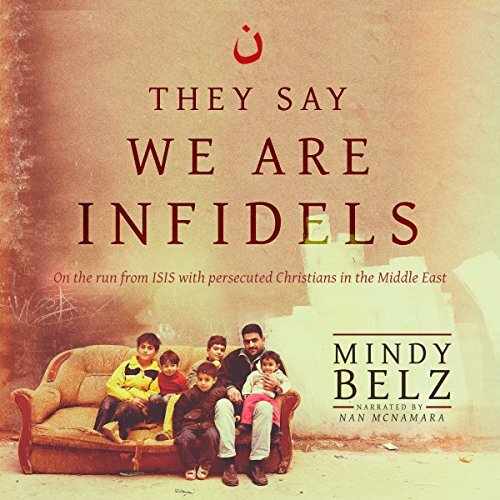 In They Say We Are Infidels, she brings the stark reality of this escalating genocide to light, tracking the stories of real-life Christians who refuse to abandon their faith.